Editor’s Note: We here at Points are happy to welcome back guest blogger Ross Aikins, a self-proclaimed sports-nerd, journalist, teacher, and postdoctoral fellow at the National Development and Research Institutes in New York City. A recent PhD from UCLA’s School of Education, Ross blogs at www.yourblogondrugs.com. Today, he provides us with a meditation on one of television’s great drug-related programs, Breaking Bad. 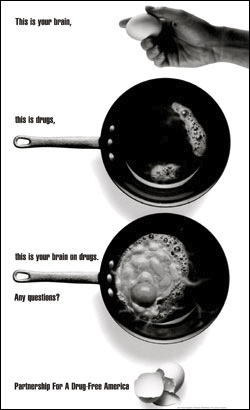 Breaking Bad might be the greatest TV show ever about drugs. And it’s about to end. 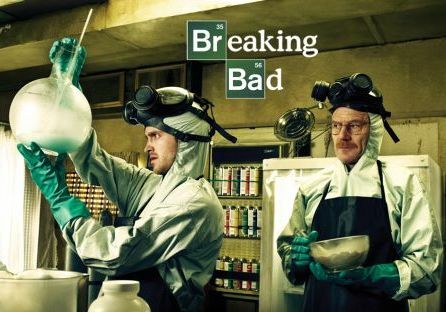 For those not familiar, Breaking Bad is an exceptionally high-quality AMC drama about a high school chemistry teacher named Walter White who, after discovering that he has terminal cancer, resorts to cooking meth in order to provide for his family’s future. His (literal) partner in crime is Jesse Pinkman, a former student of Walter’s and amateur meth-maker. Needless to say, the story gets complicated from there. You can read a fuller synopsis here. What you need to know about Breaking Bad is that it is a critical hit, having won Emmys to date. It’s days are numbered, though, as it’s just entered the halfway mark of its fifth and final season that concludes next year. 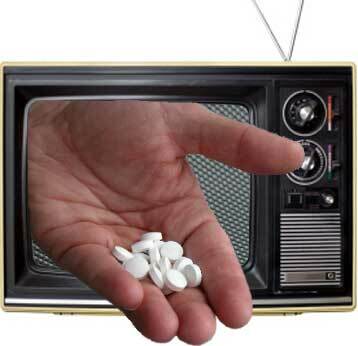 Drugs, meet television. Television, drugs. Now read that completely loaded first sentence again and consider the pedantic lunacy of what I’m about to argue. What does it mean to be a qualitatively “great” show? And what makes a show “about drugs” anyway? Granted, these are hopelessly subjective classifications, but this is a drug history blog. For the sake of argument, let’s consider the entire history of television within our purview. I’ll respond to those two questions in reverse order. A show is “about drugs” either if its central plot revolves around drugs or if the main characters are addicts, dealers, cops, an anthropomorphic pothead talking towel, or otherwise primarily involved in the drug trade. A good “about drugs” litmus test would be if somebody who had never seen a particular show were to ask an ardent fan “what’s that show about?” The first words in any credible response would have to include “drugs.” Lots of people love Sons of Anarchy, where drugs are a recurrent theme. But SOA fails that test since it is primarily about “biker gangs.” Similarly, The Sopranos is about a mafia family. To address the mind-boggling question of how a tenured faculty member could have the time to head up a major criminal organization given the burdens of teaching, research, and service, Inside Higher Ed consulted Professor Tom Barker of Eastern Kentucky State University, an expert on motorcycle gang culture. The gist of Barker’s comments: basically, it wouldn’t be too hard. One item of interest to Points readers, however, deserves further comment. Barker noted that he knew of two other members of the professoriate who were also members of “outlaw motorcycle gangs,” but refused to divulge their identity. For the record, folks, Points co-managing editors Joe Spillane and Trysh Travis may enjoy the occasional charity rally, but they are not now, nor have they ever been members of a biker gang. Points Editors Spillane (l) and Travis (r): "Looking for guest bloggers/And whatever comes our way..."
One of the facts of life for a historian of drugs in the modern United States is that you’ll frequently be asked if you’ve read the latest best-seller on contemporary drug issues. That was certainly the case when the subject of Points Interview number ten–Nick Reding’s Methland (Bloomsbury, 2009)–first appeared on the best-seller lists. A new paperback edition of the book was released May 25, and we’re able to mark the occasion with the Points Interview. 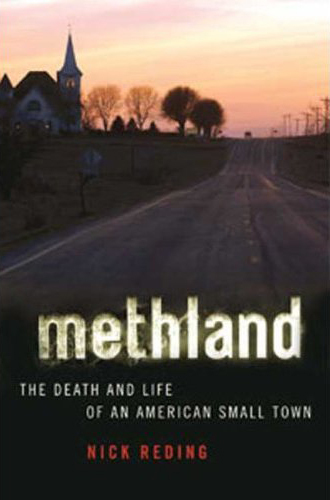 Methland is about three years in the life of a small Iowa town with a bad methamphetamine problem. To tell the story, it follows the lives of the mayor, the town doctor, the prosecutor, a meth addict, and a trafficker. It’s about where the meth comes from and what it does, but it’s also about the way the town fights back, along with the personal ups and downs of the principal characters. Meth and Moral Panics, Part One and Part Two led us to the question of whether and how we ought to arbitrate the real in assessing the ‘disproportionate response’ that moral panics require. In this post, we’ll look at efforts to do just this with respect to methamphetamine in the contemporary United States, and conclude with three suggestions for refashioning the relationship of moral panic studies to actual behavior. An abundance of published works tie the methamphetamine response to the moral panic concept, most often in studies that don’t really fit the framework (see my earlier post for more on this). Travis Linnemann’s fascinating examination of the gendered reporting of methamphetamine in the Midwest is a good example; in the end, he’s not really all that interested in arbitrating the real. Consider his observation when discussing media portraits of a masculine/feminine dichotomy of work within the methamphetamine trade: “it is not clear whether this division of labor is entirely constructed by the media or if the data depict actual differences in duties. Regardless, the mediated depictions illustrate perceived differences in duties.” (1) Likewise, the sophisticated study of Canadian media by Susan Boyd and Connie I. Carter invokes the drug panic concept, but largely confines itself to the general observation that media coverage avoids and even forecloses “discussion of the broader social, cultural, and economic factors that affect users’ lives, including lack of housing, healthcare, and meaningful employment opportunities.” (2) Jack Shafer, writing Slate‘s Press Box column, has presented some of the best journalistic accounts of error and disproportion, here and here and here—hectoring, at times even begging, his colleagues to take a more careful, evidence-based approach to their reporting of the methamphetamine problem. 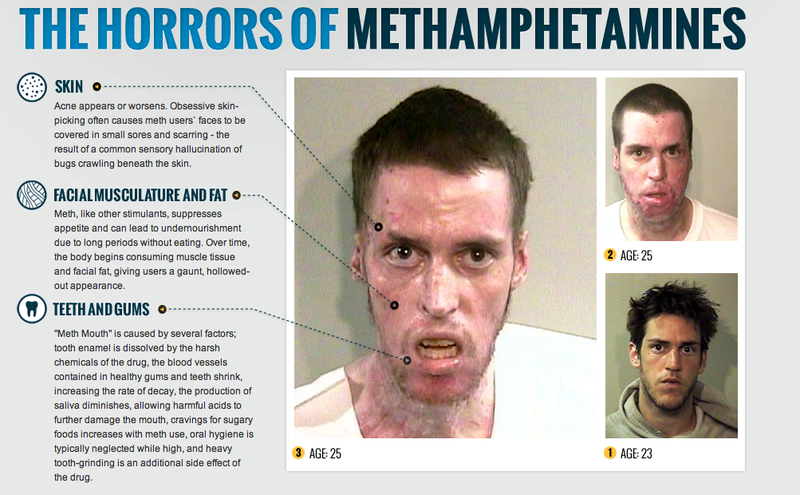 Weidner’s study “examined the existence of disproportionality” by comparing media coverage of meth relative to other illegal drugs with the prevalence of treatment admissions for meth relative to other illegal drugs in three cities (Bismarck, North Dakota; Springfield, Illinois; Topeka, Kansas). Media coverage data came from newspaper articles. Prevalence of treatment admissions came from the Treatment Episode Data Set [TEDS], “the only national-level information on the prevalence of substance abuse that is disaggregated for hundreds of MSAs.” Unfortunately, the TEDS data has one absurdly distorting quality—marijuana “treatment” cases overwhelm the data set. Nearly HALF (48%) of all treatment cases during the entire period for all three cities combined were for marijuana, mostly cases in which defendants were “diverted” from the criminal justice system into “treatment.” If coverage of marijuana was not correspondingly high in newspaper accounts (and it wasn’t), one is more inclined to praise editors for sound judgment than to attribute moral panic! By the numbers, the rest of the “real” data is similarly problematic–meth lab seizures and state-level drug self-reports. In the end, Weidner finds his moral panic with criticisms of “drug-scare” rhetoric (the use of terms like “epidemic” “plague” and “scourge”) and claims of addictiveness. A noble effort, but a dispiriting result in the quest to locate disproportion. Today, I’m posting the first in a short series on the concept of “moral panic” and its utility for those of us who write and think about the history of drugs and alcohol. I’ve been promising this series to co-managing editor Trysh Travis (and to my students) for some time, so I’m glad to get things underway. While there’s been no “moral panic” tag here at the Points blog (until today), there’s no shortage of references to it here, either. You can find Trysh Travis dropping the phrase here and here. In keeping with the spirit of Trysh’s posts, I thought I’d use the history of methampetamine (and its place within the moral panic literature) as the focusing point of this series. Sager wasn’t the only one working the ice beat in late 1989 and early 1990. 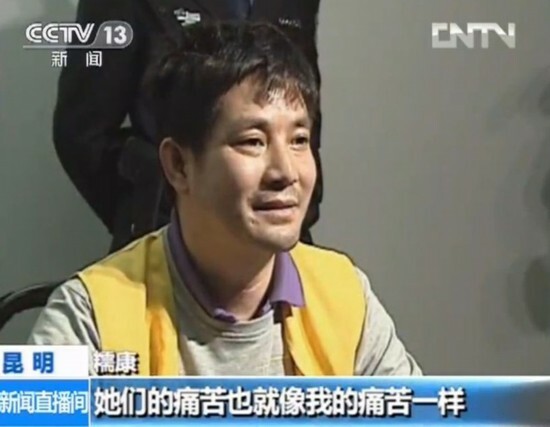 A substantial volume of news stories and longer article appeared in the local and national press, most echoing the basic tone of Sager’s warning piece. Indeed, Sager and his fellow journalists were hardly the only ones at this party–the story had grown from a big issue in Hawaiian local politics to the national political stage. Less then one month before Sager’s article appeared in Rolling Stone, ice was the subject of a Congressional hearing “Drug Crisis in Hawaii” [Drug crisis in Hawaii : hearing before the Select Committee on Narcotics Abuse and Control, House of Representatives, One Hundred First Congress, second session, January 13, 1990]. Indeed, the phrase “ice age” was borrowed by Sager from the ongoing political conversation–the phrase had been employed multiple times to describe the looming crisis.